These Bifocal Sunglasses are Super Comfortable! Quality at its Finest! 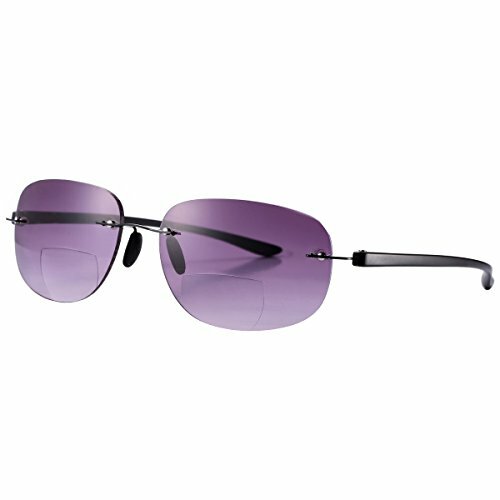 When you are Boating, Fishing, Heading to the Beach or Lake, these are the Most Stylish Choice in Bifocal Sunglasses. These Sunglasses save us the Hassle of bringing along Two Pairs of Glasses while on our Adventures. Maximum UV Protection Lenses along with Prescription Quality, Vision Correcting Lenses of your Choice give you Total Vision Coverage. Love Being Outdoors and Reading? Now you can do both of them at the same time with Pro Acme Sun Reader's collection. Sporty Italian Designed Bifocal Sunglasses Reader! The Multiple Vision Lenses are Perfect for Outdoor Reading and Distance Viewing. Lightweight Comfortable Frames. UV 400 Protection Lenses and Optically Correct. Comes with Hard Leather Case, Microfiber Pouch, Microfiber Cleansing Cloth and Tag. 100% Satisfaction Guaranteed. Please just let us know if you're not happy with your purchase within 30 days, and we'll take care of you. You have no risk to try.